To “sell” to people without them feeling sold to. In a perfect world, we marketers could expose our target audiences to valuable content that genuinely interests them AND raises awareness for the products we’re promoting. This is exactly what native advertising aims to solve. Native advertising can leave your audience feeling a little duped and/or betrayed. Here they are reading what they thought was an innocent how-to blog post, only to find that they’re being fed advertising. That bad taste left in their mouth can backfire, leaving marketers worse off than if they had left well enough alone. That said, however, when done right, native advertising can have incredible ROI. If you’re looking to start dabbling in native advertising, this post is for you. From top-to-bottom, this post covers everything you need to know – from tools to examples and everything in between. Before jumping into native advertising head first, download this best practice guide. It covers all the things you need to do before you launch a native ad campaign. Download it here, then read on to figure how native can help your business grow. It’s one of those things that you know it when you see it. Different experts have different opinions about how native advertising is defined. 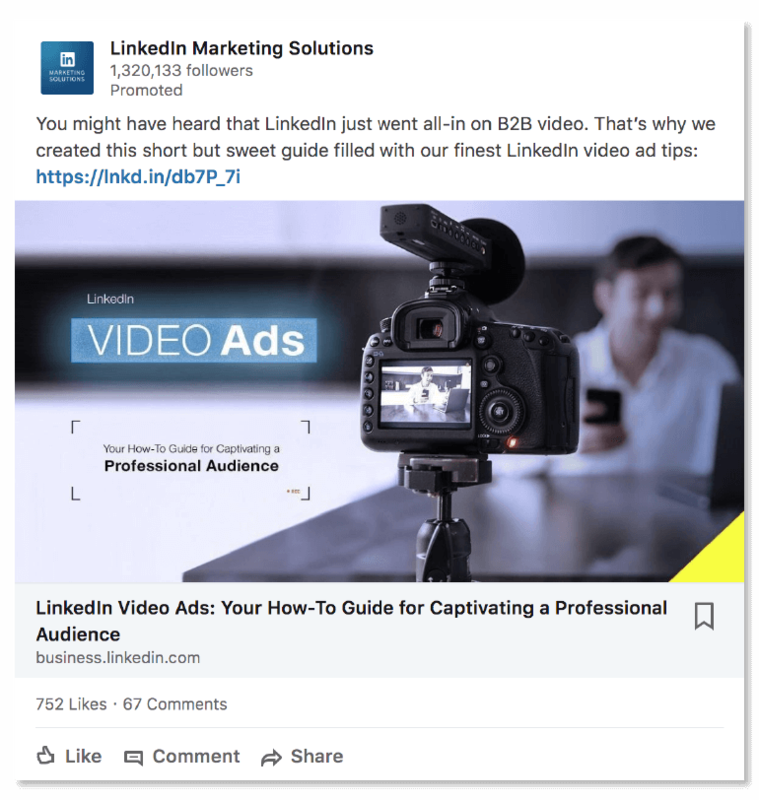 Social platforms like LinkedIn and Facebook make the claim that in-stream social ads constitute native advertising. It’s clear there’s a little disagreement surrounding what actually constitutes a native ad. The more examples the better, amirite? And you’d be right… it does. Is a way of distributing content. Is present on a domain other than your own. Will have a label stating “ad” or “sponsored”. Appears to provide the reader value, but is secondary to selling the product. The content is only valuable if the product is purchased. Provides valuable knowledge to raise brand awareness. Is a long-term strategy that nurtures leads as them move down the sales funnel. 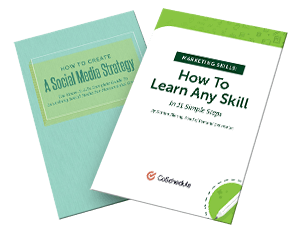 Includes assets like white papers, blogs, webinars and videos. Is hosted on owned media channels. The content is valuable in and of itself. 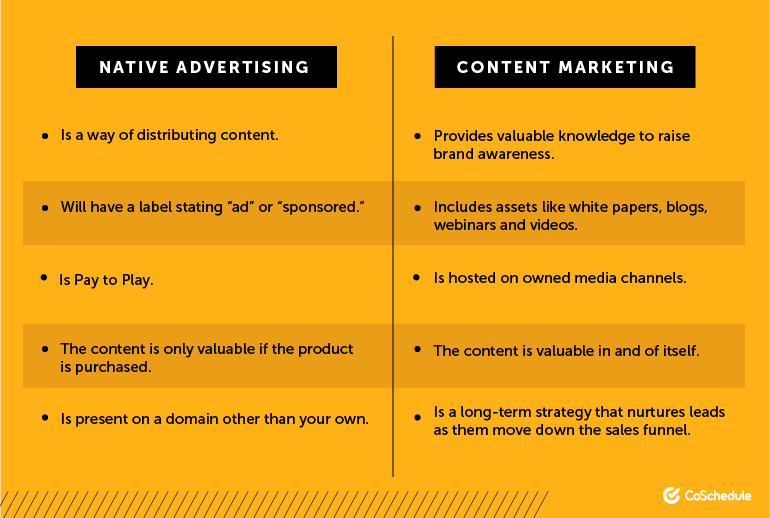 Should You Invest in Content Marketing or Native Advertising? It depends on your goals, timeframe, and budget. Content marketing tends to be a long-term strategy that has lower monetary costs, but a higher time investment on the part of your marketing team. … it’s more beneficial to the company in the long-term since the content assets are owned and built on the company’s own site. 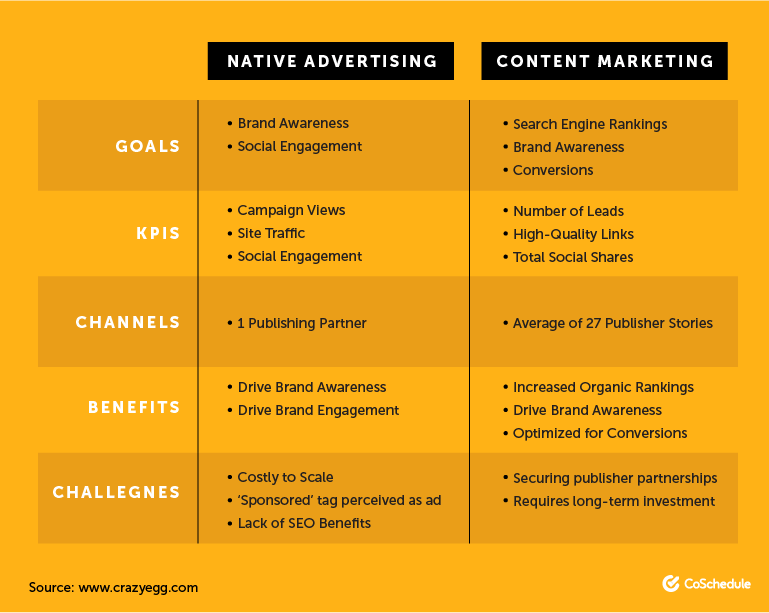 What’s the difference between #contentmarketing and #nativeadvertising? The average consumer is exposed to up to 10,000 brand messages a day(!). Having said that, it’s not necessarily shocking that consumers tune out ads on the regular. People scroll past banner ads because they are seen as noise… just another interruption from the content we’re trying to consume. There’s an actual term for this… it’s called banner blindness. Native advertising, however, is a part of the experience. People read them and therefore engage with them on a more meaningful level. 2x more visual focus than a banner ad. 308x more time spent on the ad. 18% higher purchase intent compared to a banner ad. People view native ads 53% more often than banner ads. Native Ads have also been shown to influence purchase decisions on a more subconscious level since the advertising message is baked into the content and it's not where the reader is expecting to see an advertising message. Native advertising can take many different forms. Let’s break down what each one looks like. 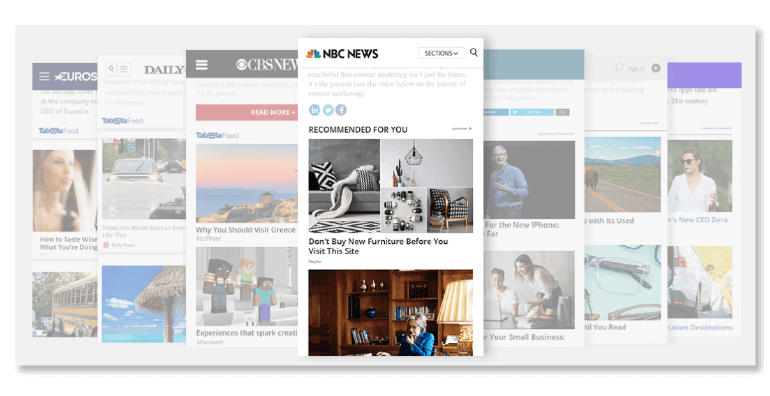 In-feed native ads typically appear in the “content buffet” on news sites, editorial sites (e.g. Mashable, Slate, etc. ), or social media platforms. They’re paid content items that appear in-line with other articles or posts. On editorial sites, they are typically found at the bottom of the homepage after the original content has been presented; or at the bottom of an individual article. It’s important to remember that in-feed native ads will look different from site to site. The purpose is for the ads to blend into the site’s other content – so as not to interrupt the reader’s experience. 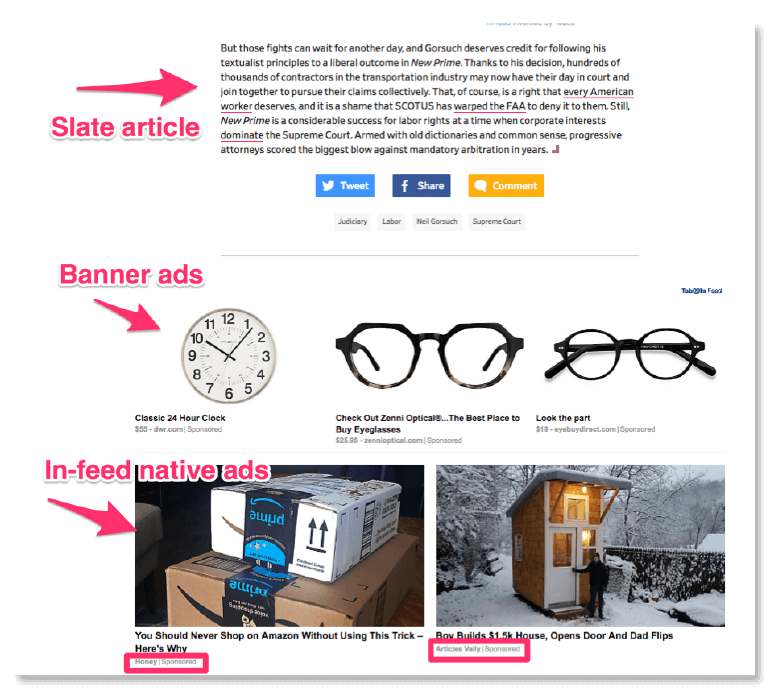 An important distinction here is that in-feed native ads typically take the reader to a URL hosted by the company – which is where an in-feed ad is different from branded or sponsored content. 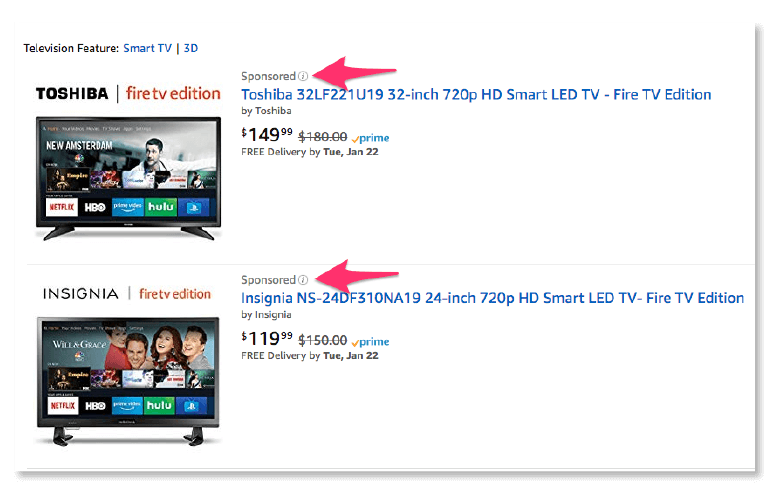 In the example above, if you click the ad to the left entitled, “You Should Never Shop on Amazon Without Using This Trick - Here’s Why”, you’re led to a post on the company’s blog. As mentioned above, there’s some disagreement over if in-feed social ads constitute native advertising or not. Some say that these ads provide value AND blend into the site’s organic content, therefore checking both boxes regarding native advertising. Whereas others say these ads are as interruptive as banner ads or the like. For the sake of this post, they will count as native advertising, but you can decide for yourself. You’ll notice the word “promoted” or “sponsored” on each of these posts. Another ad type that its “native” status is disputed. These ads are located at the top of your SERPs and are placed based on search terms a company has bid on. 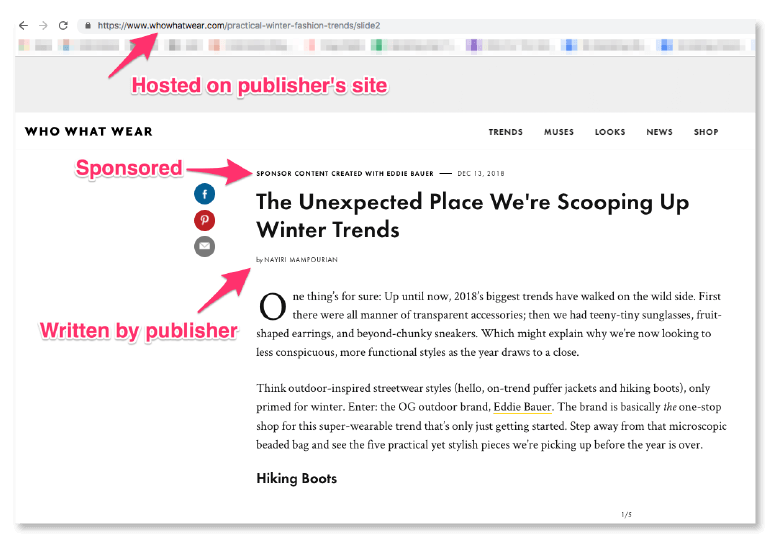 Some claim these are native ad placements because they made to appear like organic results. Others say not so fast… The Institute of Native Advertising claims these don’t count because a search engine is not media – just as a phone book is not media. Again, you can make the final call. 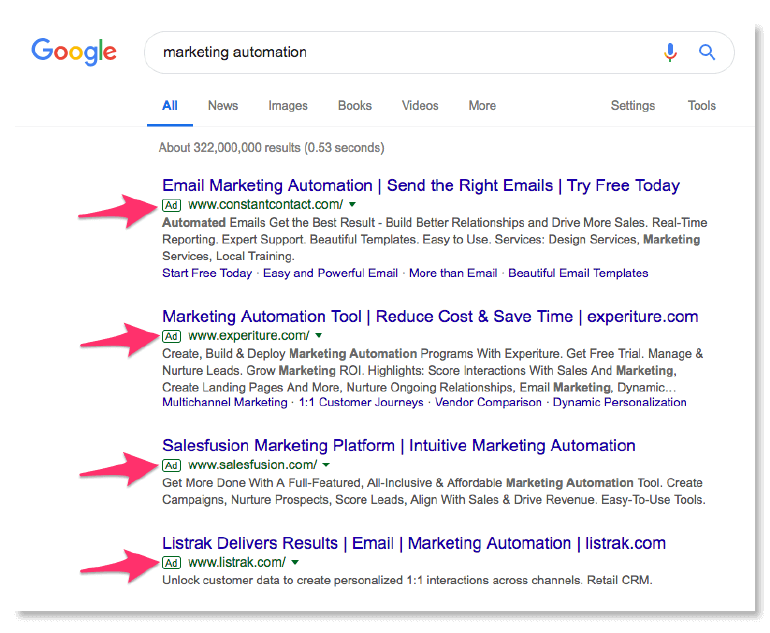 Below is an example of a few paid search ads found on Google. Recommended content is similar to an in-feed ad, but it’s presented slightly differently – usually by informing the reader that these articles, posts, or the like are something they might also be interested in. Often times these are dynamic, based on the reader’s preferences or the topic of the current article they are reading. 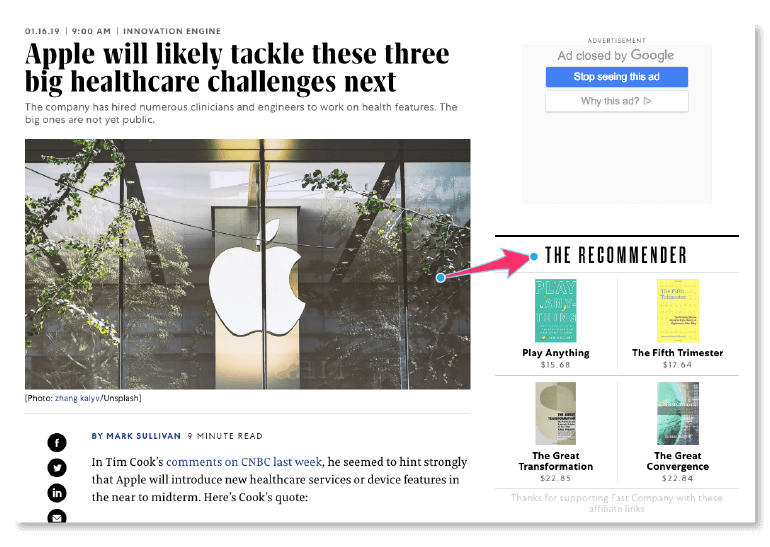 Here’s an example of a recommended content area on Fast Company. 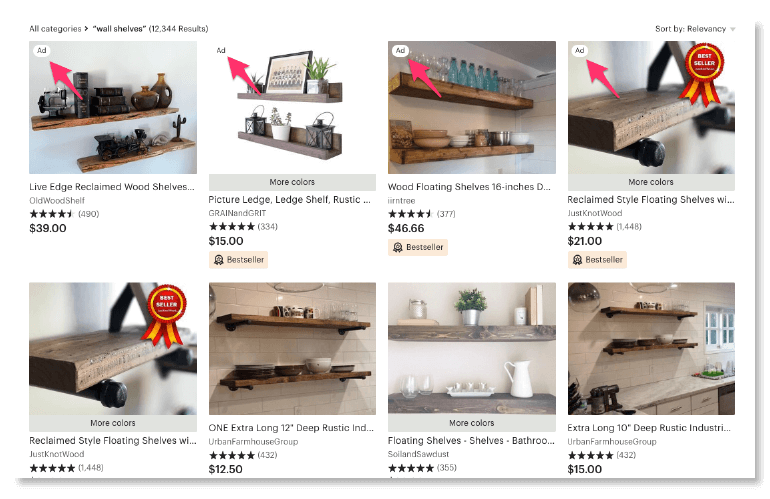 Promoted listings on present on sites like Amazon and Etsy. They give sellers the opportunity to increase the likelihood that their products will be found by a buyer – in the same vein as a paid search ad. … and one from Etsy. As technology like augmented reality becomes more prolific, there will be additional types of native advertisements. 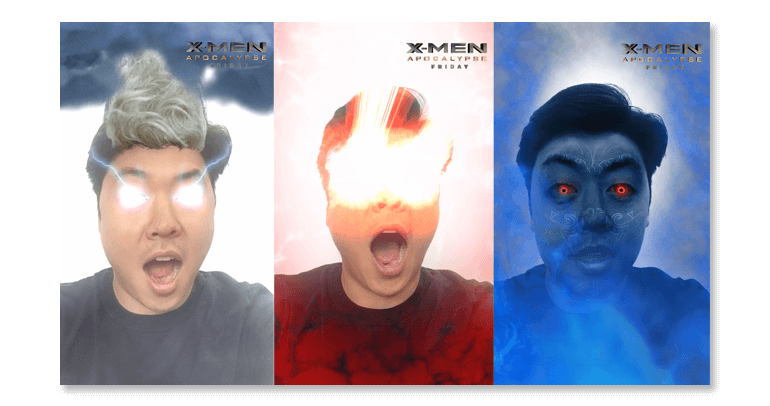 Some new and interesting native ad types include Snapchat filters, like this one advertising the release of the X-Men Apocalypse movie. 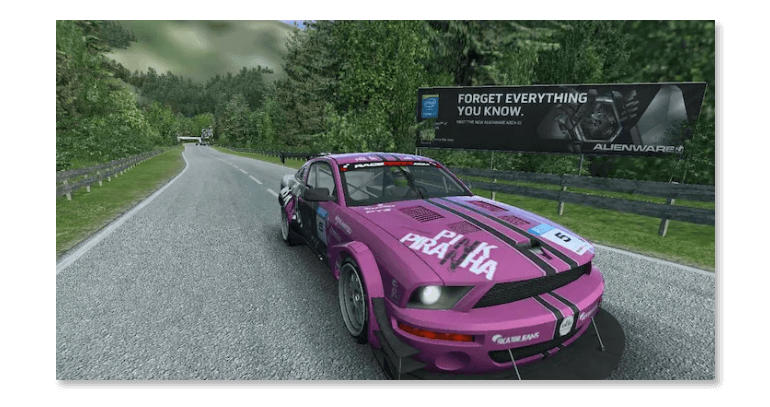 Here’s an example of an in-game advertisement where IRL ads were placed realistically on billboards inside a video game. 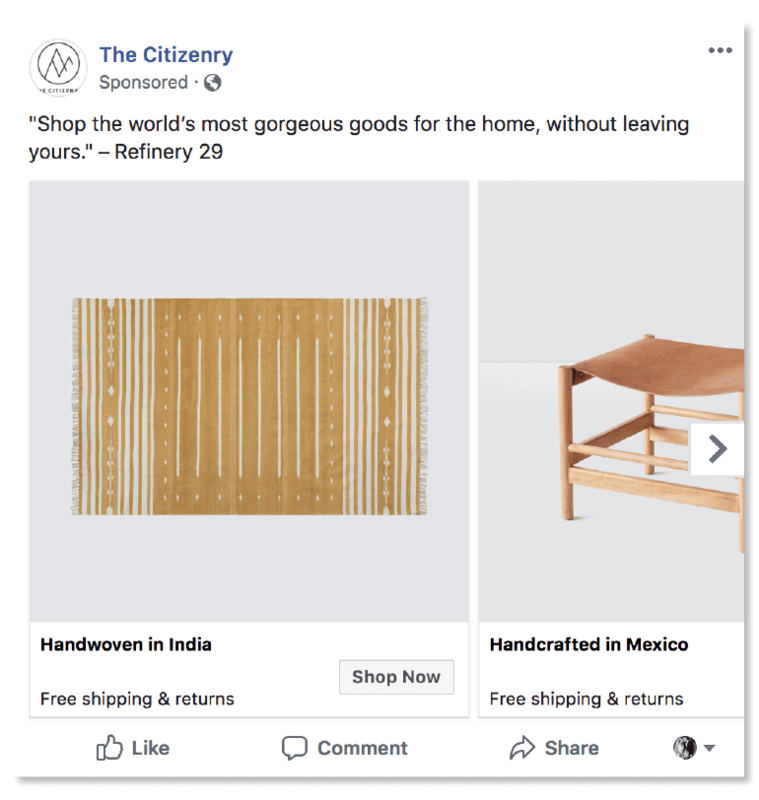 Not to be confused with in-feed ads, sponsored or branded content types are native ads that are typically produced by a publisher, are paid for by a company, and promote a specific product. 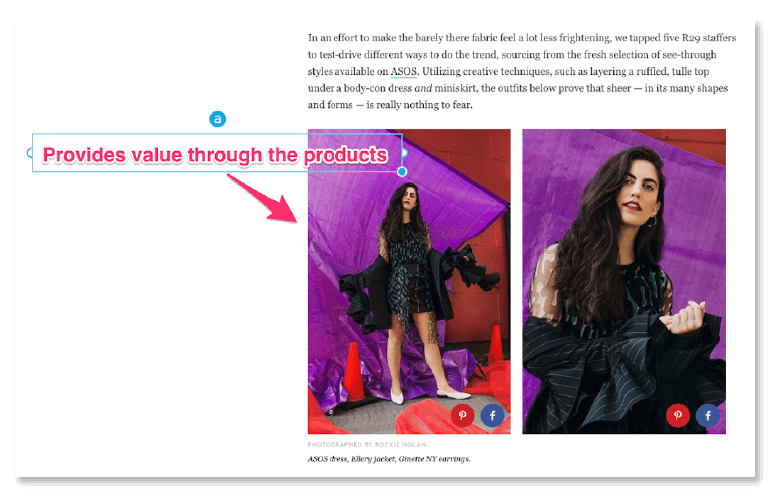 This is an ad type that most closely meets the definition of native advertising since it offers the most natural, non-invasive content experience. Here’s an example of sponsored content from the fashion site, Who What Wear. 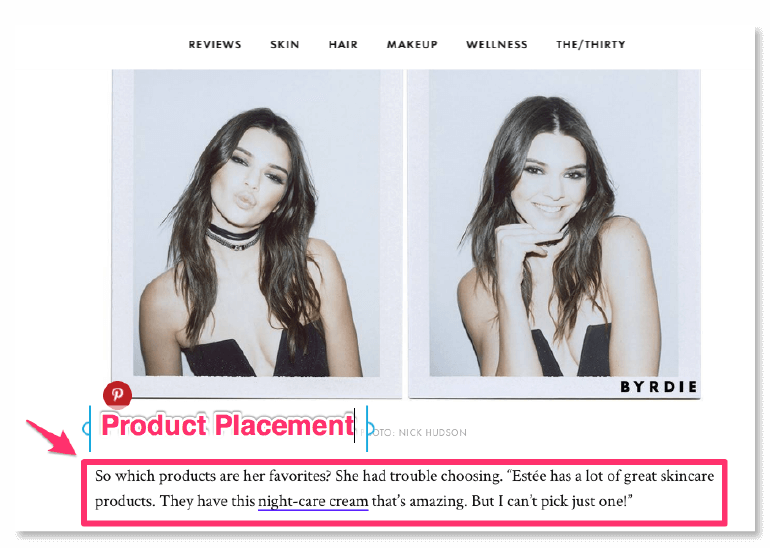 Product placement, if done correctly, can also be included in the native advertising category. 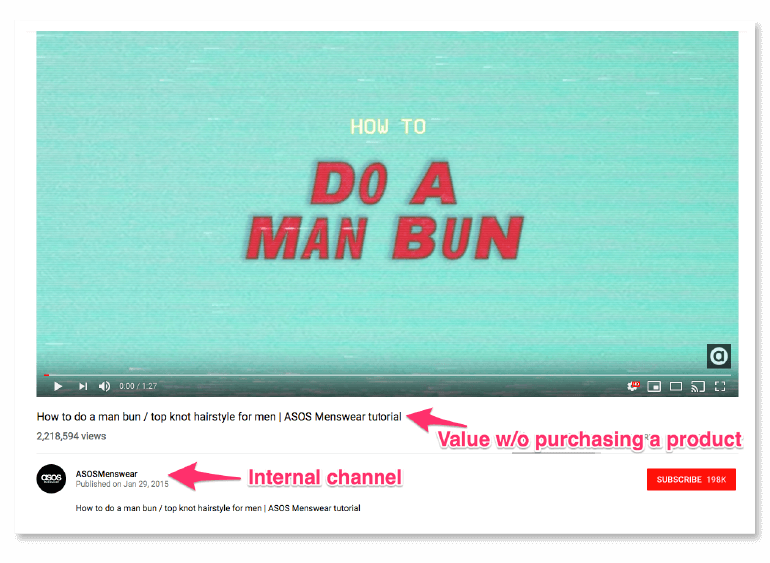 This example is an interesting mash-up of influencer marketing and native advertising. While it’s unclear if Estée Lauder paid the publisher to write the article, Kendall Jenner was an ambassador for Estée Lauder at the time, so she was definitely being paid to mention the company and its products. You can she she drops several of the company’s products when talking about her daily skincare and makeup routine. But, as with everything, there are some drawbacks, too. Here’s a rundown of the pros and cons to help you decide if native advertising is right for you. Can be highly targeted: You’re able to reach readers where they are already hanging out. Gain more awareness: Native advertisements circumvent banner blindness and garner more attention than display ads. They’re effective: CTRs for native ads are 8.8x higher than the average display ad. They’re unobtrusive: Native ads don’t affect the user experience because they are designed to be a part of the reader’s experience. Lacks SEO benefits: Native advertising doesn’t provide any SEO benefits to the company. Can make the reader feel duped: Some reader can feel like they were tricked into clicking an ad. Can be expensive: The average cost of launching a native advertising program with a top-tier news publisher is $54,014.29. Let's break down some awesome native ads that came out in 2018 and what exactly makes them so great. This advertorial paid for by Netflix in collaboration with Wired is pretty awesome. It not only plugs the product – it's a genuinely interesting topic that strikes a balance most native ads struggle to find. 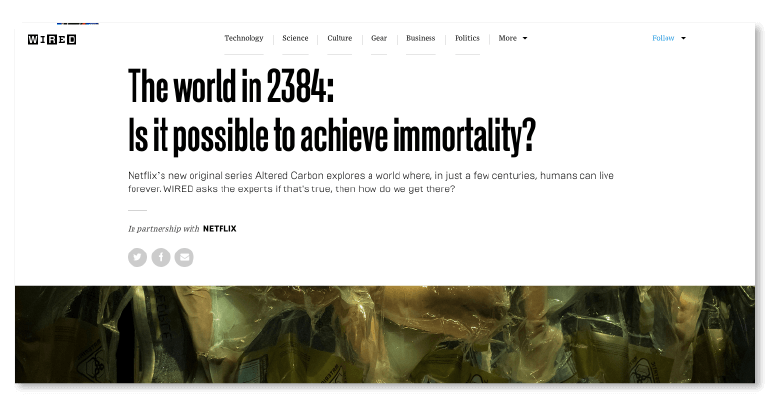 The article interviews real experts on if the topic (human immortality) of Netflix's show could ever be realized. 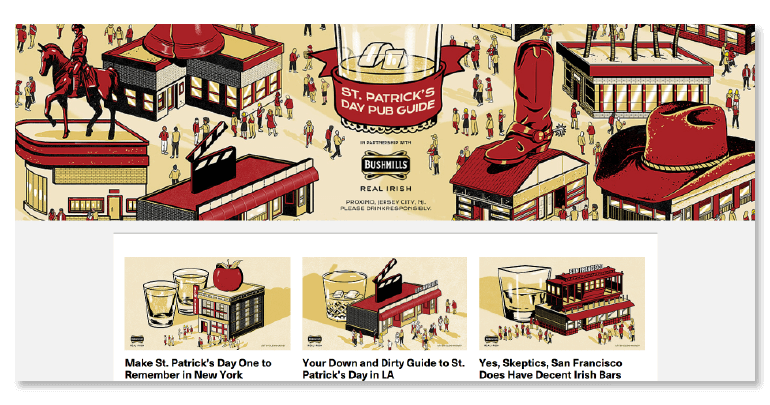 This microsite sponsored by Bushmills Whiskey provides city guides to individuals looking for the best Irish pubs to celebrate St. Patricks Day across the U.S.
Sure the content is sponsored by Bushmills, but it's legit useful to those wondering where to get loose and celebrate in their green garb. The NY lottery has officially won at native advertising. 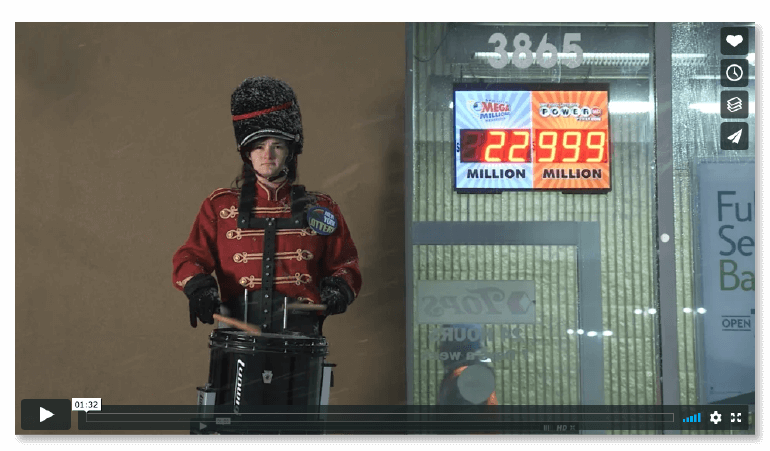 Forget in-feed ads and branded content – when the Powerball jackpot hit a record $1.58 billion in 2016, the NY Lottery hired drummers to stand outside convenience stores to drumroll for 12 straight hours. Does this count as native advertising though? According to the Webby Awards, it does. The ad was nominated for the 2016 Webby Award for Best Use of Native Advertising. Purina has a branded Podcast produced in collaboration with Slate. The Podcast focuses on interesting dog-related topics like, "Does my Dog Understand What I am Saying? ", "Do Dogs Feel Empathy?" and more. 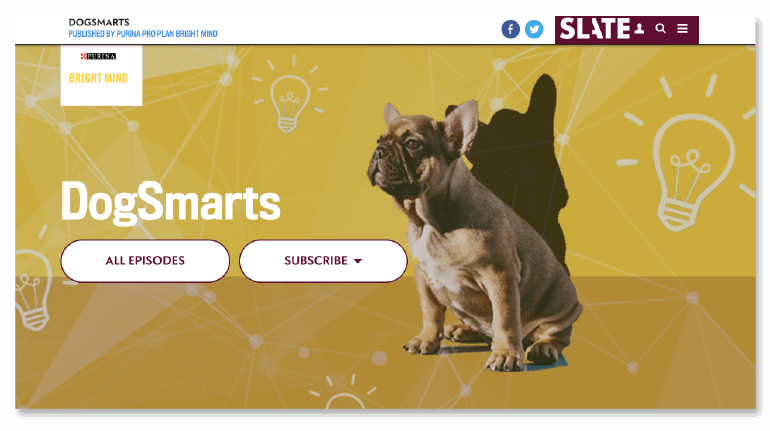 It's branded content that sells both Purina's products and covers topics that would naturally interest dog owners. The HBO series GIRLS sponsored a blog post in collaboration with Buzzfeed entitled, "10 Feelings All NYC Girls Have At Least Once". The article focuses on things every girl in NYC has felt at some time in their life. It highlights the struggle of living in NYC – which is also a central theme of the show. 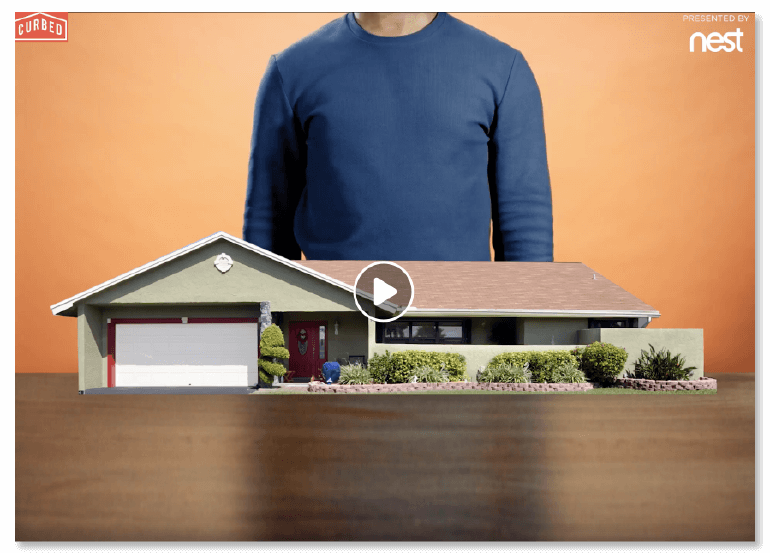 Nest and Curbed teamed up to produce a video about the most popular house format in the U.S.: The Ranch. The video breaks down what sets a Ranch apart from other home styles and a little about what has made it so popular. 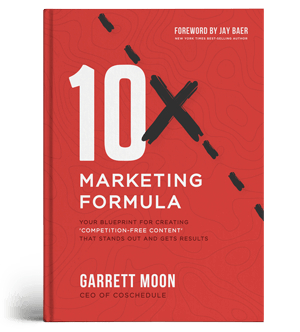 It's both engaging, fun and intersects with both the publisher and sponsor's audience interests. 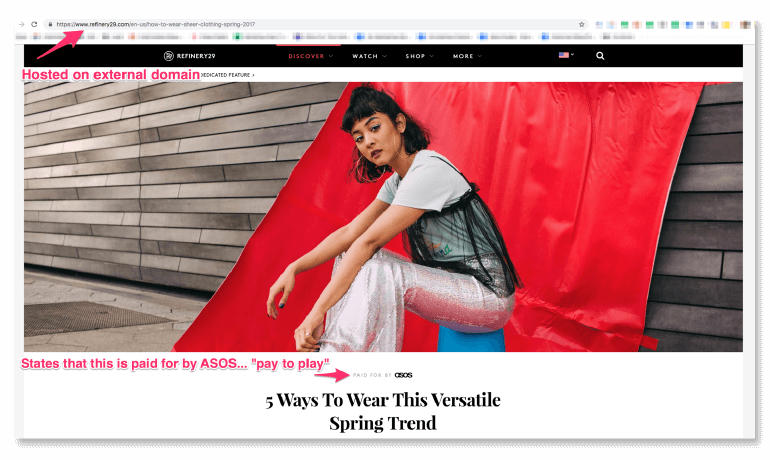 Taboola is an advanced content discovery platform that connects readers to content they may like, but never knew existed (think in-feed ads). The company specializes in content recommendations, audience acquisition, and native advertising – allowing advertisers and publishers to monetize their content and reach new audiences. The company places content on websites, such as USA Today, Tribune, NBC, Fox Sports, and more. Outbrain is a native ad network that helps connect marketers to their target audience through personalized recommendations on the world's leading publishers. The company offers programmatic, personalized ad results, which provide a targeted response for each user in real-time. 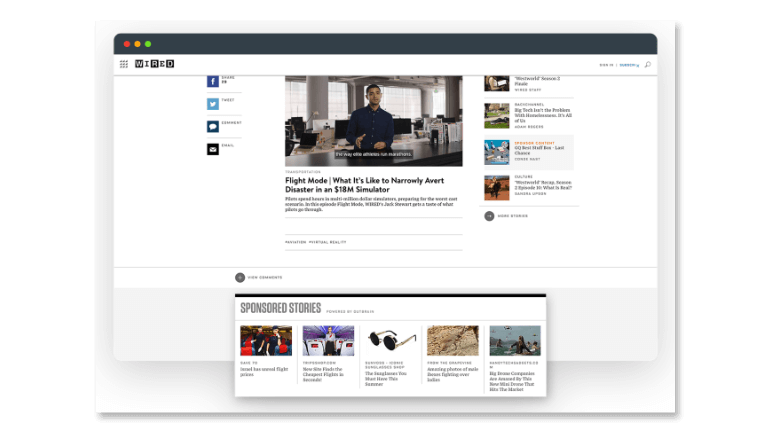 The company places native ads on top-tier publishers like ABC, People, Vox, Time, Politico, CNN and The Washington Post. Nativo is a native ad network that ensures all ads are made to match the individual design of each publication. Nativo claims that their ad types provide a more meaningful customer experience – from all states of the sales funnel. Publishing partners include Cox Media Group, The Associated Press, Barstool Sports, IDG and more. Sharethrough is a native advertising exchange that has both a supply-side platform that allows publishers to manage their entire native ad strategy and a solutions built for advertisers to help marketers execute successful native ad placements within a reader’s feed. BUT I’ve got about 9 bajillion other marketing tasks/campaigns/strategies on my mind. And I don’t have the brain capacity to take on another thing. Here’s where CoSchedule can help. 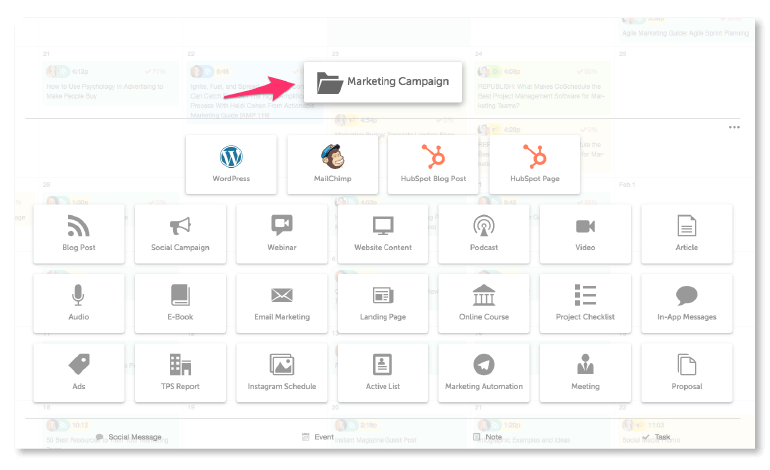 You can project manage all your marketing initiatives, including your native ad campaigns in CoSchedule. So you always know what is going on, when it’s going on, and who is responsible for it. 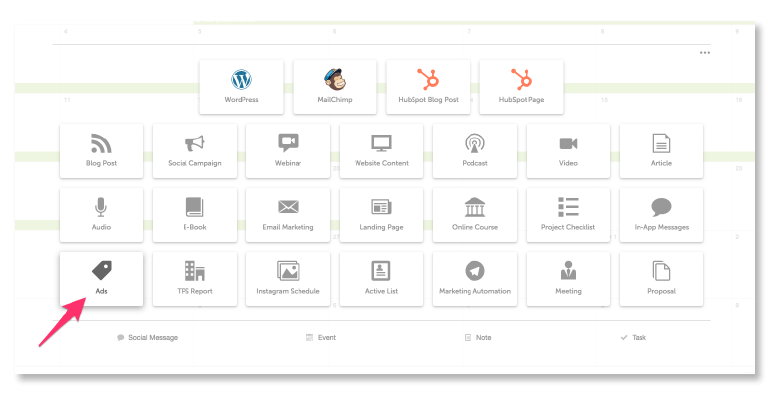 To start, create a project in CoSchedule and select Marketing Campaign. From there, give your project a title and select your beginning and end dates. 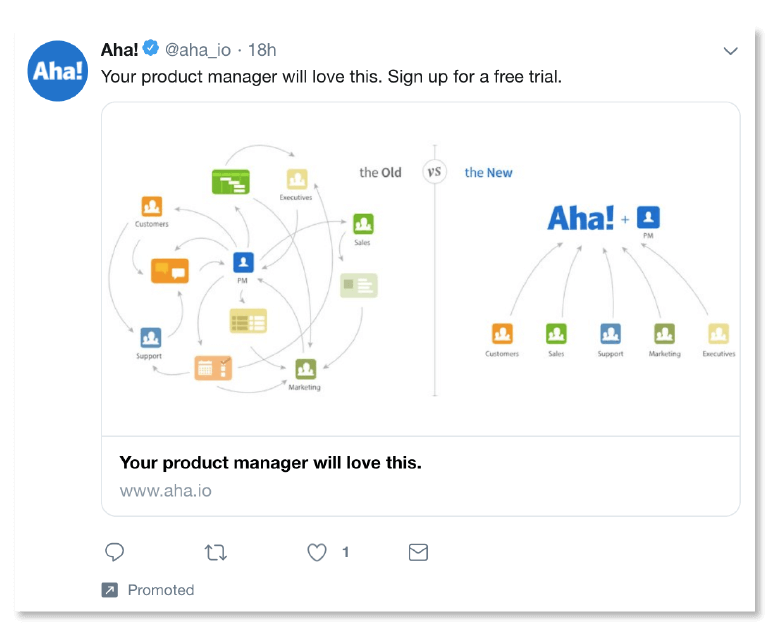 Keep in mind, this is an ENTIRE marketing campaign, so it will have lots of marketing elements… native ads will be one tactic of this wider campaign. Once you’ve added your start and end dates to the project, you’ll see the campaign’s timeline illustrated on the calendar in CoSchedule. Next, you’ll start adding individual marketing tactics to your project. …click the tab at the top of your marketing campaign. This will prompt you to add a project to your campaign. For native ads, choose the content item called “ads”. 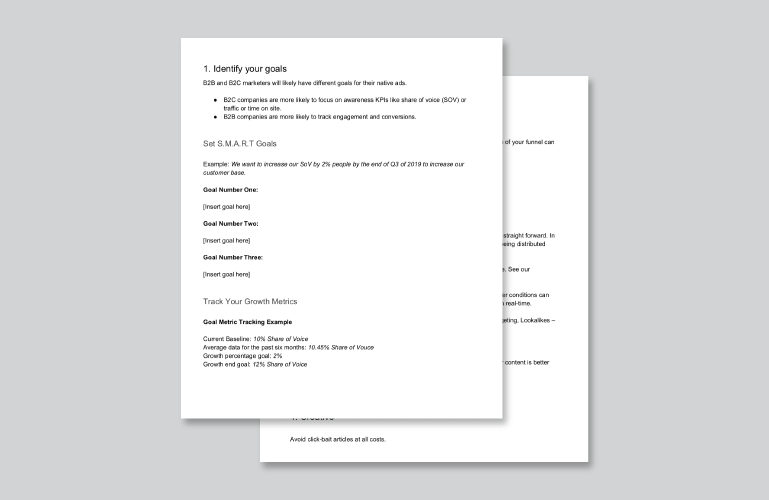 Assign tasks and due dates for your team members. Get approvals on things like imaging and copy. Add attachments and make comments. Have full visibility into every task, project and campaign your team is working on. Once all your individual projects have been added to the campaign, you can see when each one is going live and how they fit into the campaign’s wider strategy. From native ads to webinars, marketing campaigns have A LOT of moving pieces. CoSchedule is the best (and easiest) marketing project management tool to wrangle all your projects in one place. It’s versatile. It’s effective. It’s organized. Plan all your native ads and beyond with CoSchedule.